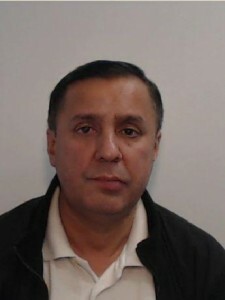 A man who sexually assaulted two women on a plane from Toronto to Manchester was sentenced at Manchester Magistrates' Court yesterday. Jagtar Singh Sandhu, 55, from Wolverhampton, assaulted the women on an overnight flight from Monday 15 to Tuesday 16 August 2016. Sandhu, sitting behind two women, began harassing them, relentlessly asking them questions including what films they were watching and where they were from. After making several requests to sit next to them, Sandhu finally attempted to unbuckle one of the women’s safety belts. Both women fell asleep during the flight, only to be woken a short time later to Sandhu sexually assaulting them both. The women were able to push the attacker away, shouting at him to raise attention. Sandhu was arrested the following week and taken to Cheadle Heath Police Station where he denied sexually assaulting the women. He was sentenced yesterday, Wednesday 5 April, to one year in prison and will remain on the Sexual Offenders’ Register for 10 years. Detective constable Andy Kettle of GMP’s Manchester Airport Team, said: “The two women were extremely petrified after Sandhu so brazenly assaulted them in a confined space with nowhere for them to escape him.